Even though new cars are protected with a warranty when you first buy it, you tend to need your warranty more as your car ages. You have to get insurance, but for complete protection, you should also consider getting an extended warranty for your car and for your peace of mind. Warranties that come with brand new cars vary between car companies, but they're the exact same for all of the cars that a company makes. With an extended warranty, you have the ability to choose which products and services you want coverage for. 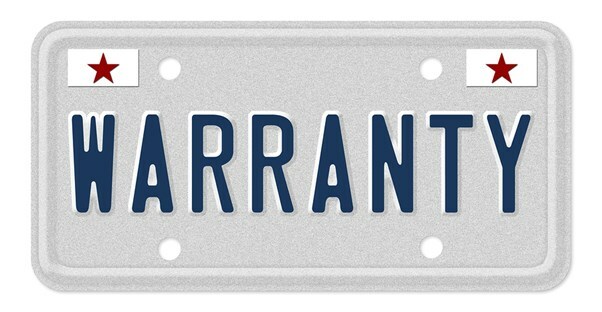 If your vehicle currently has a lengthy bumper-to-bumper warranty but a short powertrain warranty, you can adjust your extended warranty to where you have equal coverage. You can also add 24-hour roadside assistance with your extended warranty if the original auto manufacturer didn't include it with their warranty. While you may love the fact that your new car is so technologically advanced, that technology comes at a price. Older cars are more straightforward, which makes them easier to diagnose and are often relatively inexpensive to repair. Cars with sophisticated electrical wiring and computer equipment require the work of a specialized auto professional, which means that both the cost of the parts and labor for even simple repairs can be quite expensive. Rather than selling an organ to cover the repair costs, you would better off with an extended warranty. An extended warranty may sound like a waste of money, but it may help if you think of it like extra car insurance. You pay premiums every month, but you may go several years without having to file a claim. The fact of the matter is that both an extended warranty and auto insurance might seem like a lot of money for nothing, but you'll be thankful for that hassle when you have to use either of them. Even if you keep up with routine maintenance on your car, sooner or later your car will need extensive and possibly expensive repairs. When that time comes, it's nice to know that you can have those repairs taken care of without having to shuffle around funds or wait until you can come up with a way to take care of the repair costs. If you do decide to get an extended warranty for your car, it's in your best interest to take your time while doing so. You'll want to read over every single page of the contract from front to back. Write down any questions that you have while reading over it and ask about them, no matter how trivial the question might seem. Make sure that you know what is and what isn't covered, if there are certain repair shops where you're allowed to take your car and if there are any deductibles or limits that you should be aware of. More than anything else, it's best to look at an extended warranty as extended peace of mind.